Forget the pool, beach and tennis court. August is meant for more important things than just "sun and fun" ... it's National Curb Appeal Month! This is the month dedicated to taking a critical eye to your home exterior and making improvements. Are bushes overgrown? Time for some trimming. Are shutters looking faded in the sun? Time to grab the paintbrush. Are your neighbors getting just "a bit too much" view inside your bathroom or master bedroom at the front of the house? Time for adding a privacy window! 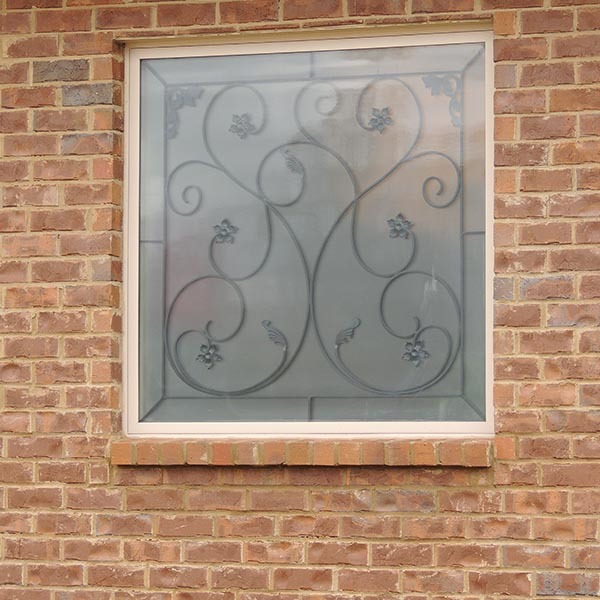 "Along with being a decorative accent that gives your home instant curb appeal, a decorative glass or acrylic block window can serve a very functional need in your home," says Roger Murphy, president of Hy-Lite, a U.S. Block Windows Company. "Swapping out a plain glass window and replacing it with a privacy window gives homeowners added peace-of-mind plus a stunning addition to the interior and exterior of the home." An easy replacement project for a remodeler or experienced DIYer, replacing a window can add more charm to your overall home. For example, if you have Mission style grids on your plain windows, you can get a privacy window in the Home Designer Collection that features the same Mission style grids. Or, go completely "off the grid" by selecting an acrylic block window that speaks to the personality of your interior. Whichever way you go ... August is THE month to make changes that enhance your home and its curb appeal!